Jerome Hauer [Source: Public domain]New York City Mayor Rudolph Giuliani establishes the city’s Office of Emergency Management (OEM). This is tasked with coordinating the city’s overall response to major incidents, including terrorist attacks. [Gotham Gazette, 9/12/2001; 9/11 Commission, 7/24/2004, pp. 83-284] It will also be involved in responding to routine emergencies on a daily basis. [9/11 Commission, 5/18/2004 ] OEM comprises personnel drawn from various City agencies, including police and fire departments, and emergency medical services. It begins with a staff of just 12, but by 9/11 this will have increased to 72. Its first director is counterterrorism expert Jerome Hauer. [New York Times, 7/27/1999] Richard Sheirer will take over from him in February 2000 and will be OEM director on 9/11. [New York Magazine, 10/15/2001; Jenkins and Edwards-Winslow, 9/2003, pp. 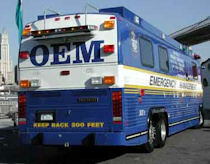 12 ; 9/11 Commission, 5/18/2004 ] OEM is responsible for improving New York’s response to potential major incidents by conducting regular training exercises involving various city agencies, particularly the police and fire departments (see 1996-September 11, 2001). [9/11 Commission, 7/24/2004, pp. 283] According to Steven Kuhr, its deputy director from 1996 to 2000, one of the key focuses of the office is counterterrorism work, “responding to the consequence of a chemical weapons attack, a biological weapons attack, or a high-yield explosive event.” [CNN, 1/16/2002] Furthermore, OEM’s Watch Command is able to constantly monitor all the city’s key communications channels, including all emergency services frequencies, state and national alert systems, and local, national, and international news. 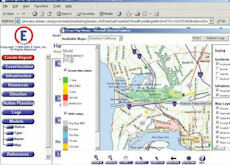 It also monitors live video feeds from New York Harbor and the city’s streets. 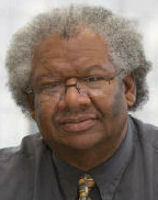 [9/11 Commission, 5/18/2004 ; 9/11 Commission, 7/24/2004, pp. 283, 542] In June 1999, Giuliani will open the OEM’s Command Center on the 23rd floor of World Trade Center Building 7 (see June 8, 1999). Center Is Designed for Managing a Crisis - The EOC, which opened in 1999 (see June 8, 1999), is a state-of-the-art facility designed to operate as a stand-alone center from which the city government can operate during a crisis. [City of New York, 2/18/2001] It is one of the most sophisticated facilities of its type in the world. 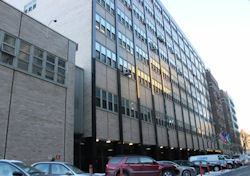 It includes a communications suite, a conference room, a press briefing room, and a large number of staff offices, and has numerous computer-equipped workstations. 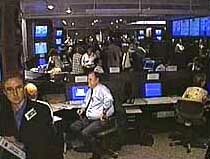 [Disasters, 3/2003 ] It has enough seating for 68 agencies to operate during an emergency. [City of New York, 2/18/2001] However, it will be evacuated at 9:30 a.m. due to reports of further unaccounted-for planes, according to the 9/11 Commission Report (see (9:30 a.m.) September 11, 2001). [9/11 Commission, 7/24/2004, pp. 305] Other accounts will indicate that it may be evacuated at an earlier time, possibly even before the second crash at the WTC occurs (see (Soon After 8:46 a.m.-9:35 a.m.) September 11, 2001 and (Shortly Before 9:03 a.m.) September 11, 2001). According to Captain Michael Currid, the sergeant at arms for the Uniformed Fire Officers Association, some time after the collapse of the North Tower, he sees four or five fire companies trying to extinguish fires in Building 7 of the WTC. Someone from the city’s Office of Emergency Management tells him that WTC 7 is in serious danger of collapse. Currid says, “The consensus was that it was basically a lost cause and we should not lose anyone else trying to save it.” Along with some others, he goes inside WTC 7 and yells up the stairwells to the fire fighters, “Drop everything and get out!” [Murphy, 2002, pp. 175-176] However, other accounts contradict this, claiming that no attempt is made to fight the fires in WTC 7 (see (11:30 a.m.) September 11, 2001). One report later claims, “Given the limited water supply and the first strategic priority, which was to search for survivors in the rubble, FDNY did not fight the fires [in WTC 7].” [Fire Engineering, 9/2002] And a 2002 government report says, “the firefighters made the decision fairly early on not to attempt to fight the fires, due in part to the damage to WTC 7 from the collapsing towers.” [Federal Emergency Management Agency, 5/1/2002, pp. 5-21] Building 7 eventually collapses late in the afternoon of 9/11 (see (5:20 p.m.) September 11, 2001). System Goes into Operation at New Command Center - For the first couple of days after 9/11, the OEM had to coordinate its recovery efforts on paper or using e-mail, because its emergency management computer systems were destroyed when WTC 7 collapsed on the afternoon of September 11 (see (5:20 p.m.) September 11, 2001). An OEM spokesman will comment, “It became apparent that we needed very sophisticated technology to effectively handle the crisis.” [Wired News, 11/2/2001] Then, on September 14, the E Team system goes into operation at the OEM’s temporary command center at Pier 92 on the Hudson River, where several server computers have been set up to run the software and 200 workstations are connected to the system. [Wall Street Journal, 10/23/2001; e-ProWire, 5/22/2002] Troy Armstrong and John Hughes, two senior E Team Inc. employees who are distinguished emergency management professionals, are installed at the temporary command center. They are supplemented with three additional E Team Inc. employees.